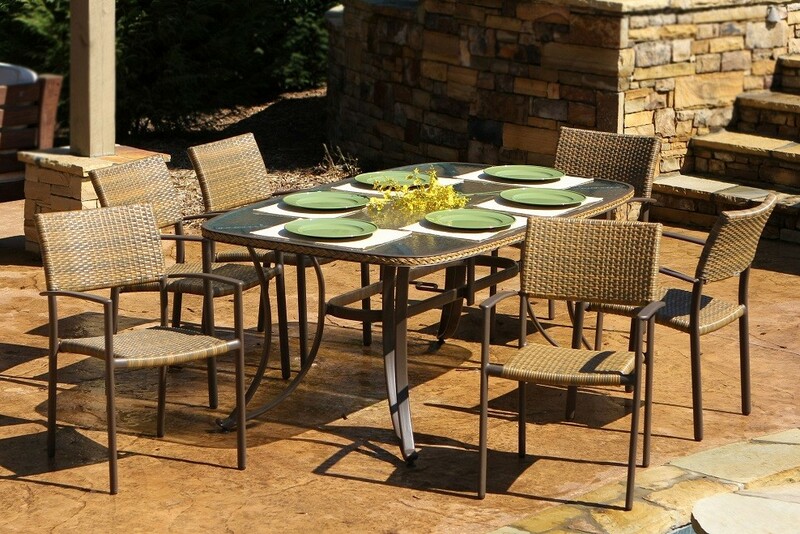 Get all of your family members and friends together for a fine outdoor meal with this 7 Piece Maracay Dining Set. 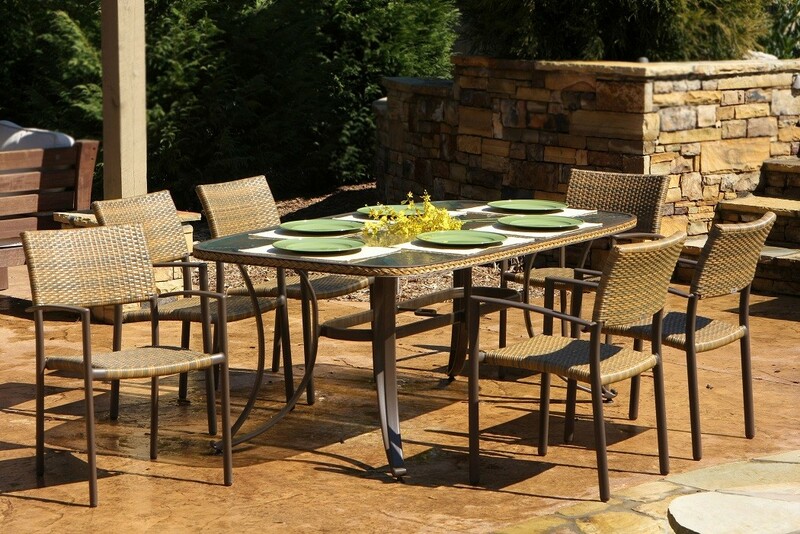 The dining set includes six resin wicker dining chairs and a roomy oval outdoor dining table. The tempered glass dining table is durable and effortlessly elegant, making any place setting that much more pleasant. You'll love the gentle Seadrift pattern. The all weather wicker gives you all of the beauty of traditional plant based wicker with none of the headaches because it rigorously defends against all of the elements. 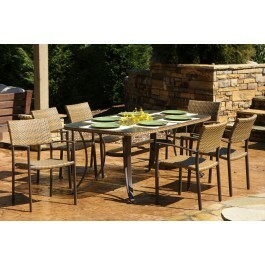 The all weather wicker material this set is made from is water, stain, fade and crack resistant. 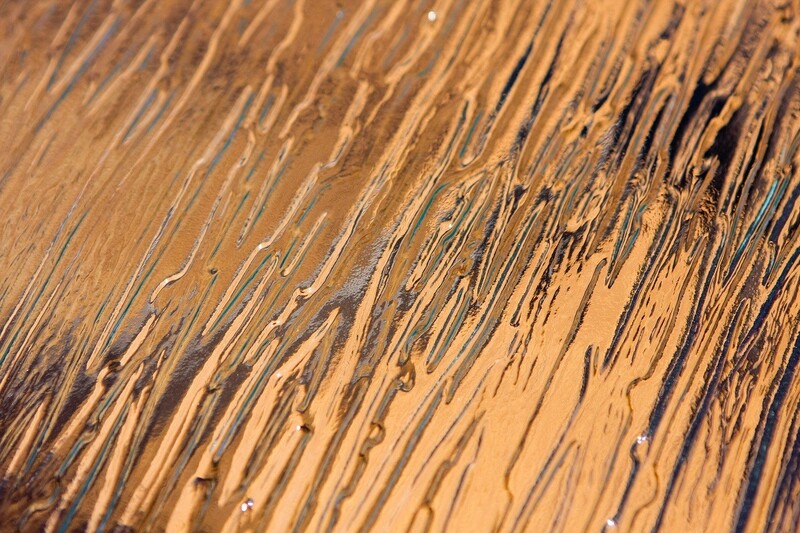 It can resist weathering in any climate year after year. 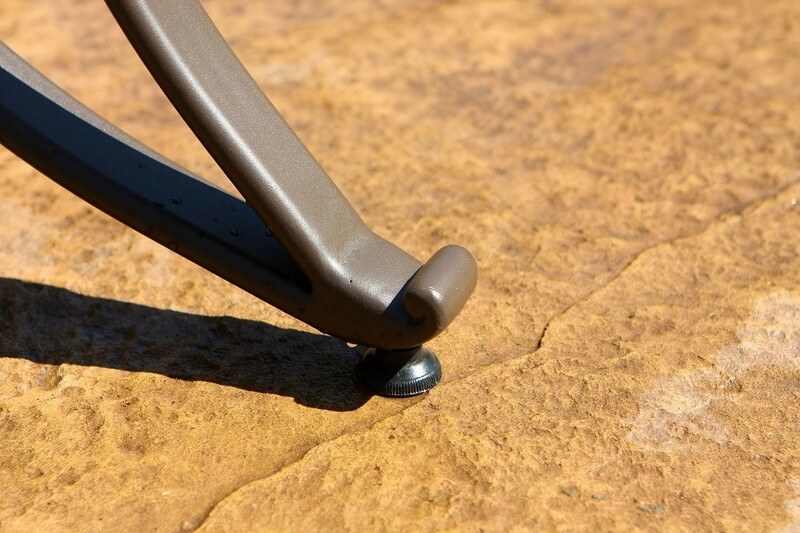 You'll also enjoy light weight powder coated rust free aluminum frames. 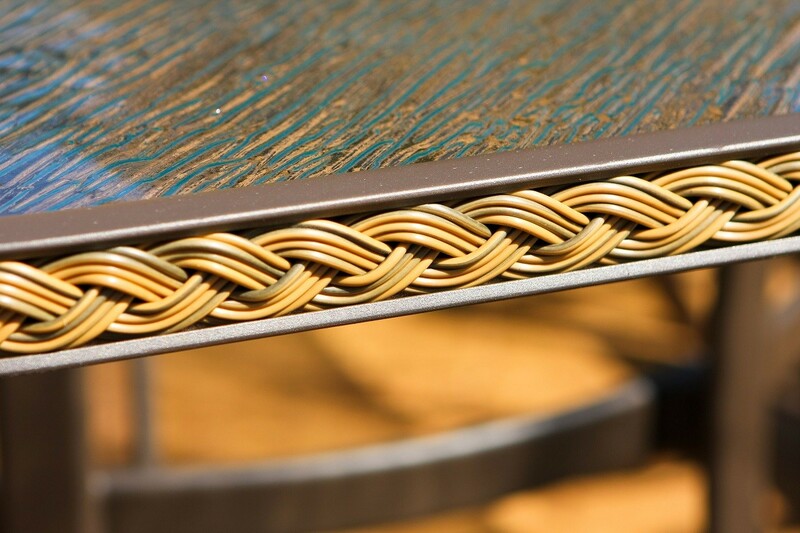 This is the dining table to buy if you want something that's fully capable of lasting for a lifetime. 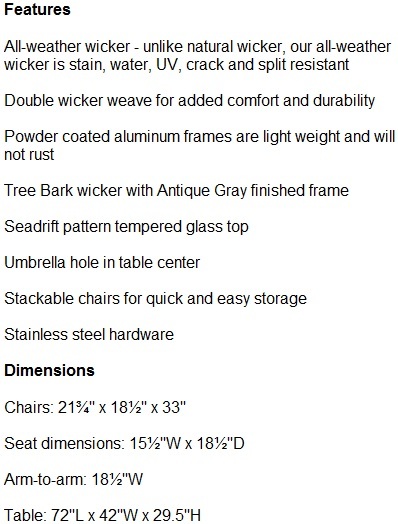 The tree bark wicker color and antique grey finished frame gives the whole set a touch of old world class. This set is brought to you by the Tortuga Outdoor company, which is a trusted name in outdoor furnishings, known for its quality. 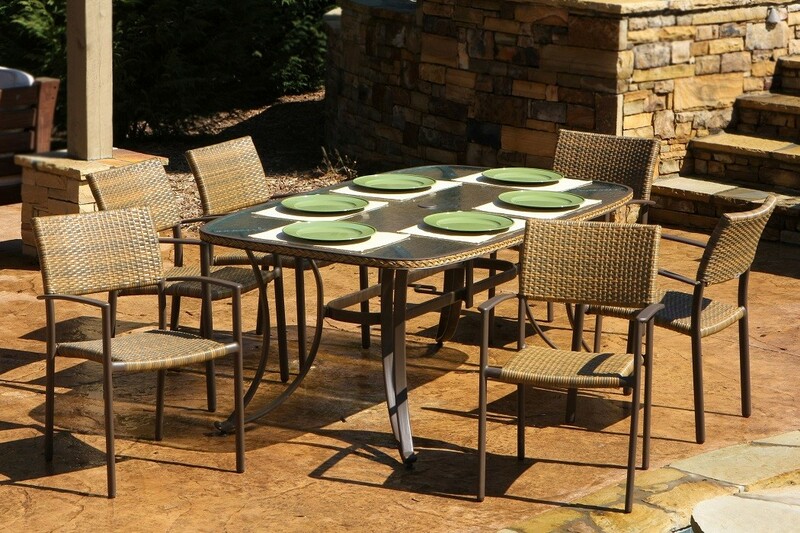 Order your 7 Piece Maracay Dining Set today.